Flying Termites! Do Termites Fly? Holy Flying Termites, Batman! What Do Termites Have To Do With Climate Change? Termites can cause billions of dollars in property damage — and may be affected by global warming. Picture this: you’re preparing a fine dinner of pizza rolls for yourself (because you’re an adult and you do what you want), but you notice something flying around your kitchen. It lands on your counter by your blessed pizza rolls, and you stare down in horror at … wait, what is that? It could be a winged ant — or it could be a flying termite. The odds of finding flying termites in your home increase during hot and humid periods of the year (and that period is getting longer because of good ol’ global warming). These unwanted visitors could indicate a larger problem hiding behind the walls and floorboards of your home: a termite invasion. In an average year, termites cost homeowners $1 billion to $2 billion in property damage. A termite infestation gone rogue could cause structural damage to your home, including sagging floors and ceilings. Here’s everything you need to know about termites — and why you should care about the relationship between termites and climate change. Spoiler: it’s not good for the structural integrity of your home. Yes, some termites fly. In fact, flying termites are usually a homeowner’s first indication that they are in the middle of a termite infestation. And if you see flying termites indoors, there’s a good chance you’ve had an infestation for some time. Termite colonies produce winged termites in order to reproduce. 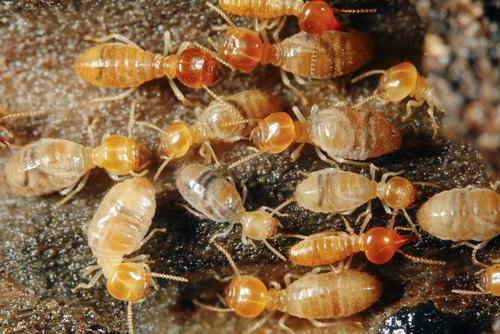 After they’ve mated, female termites shed their wings and establish new colonies. Most termite species swarm and reproduce when a colony is three to four years old. These flying termites become the kings and queens of the new hive, and the life cycle repeats. 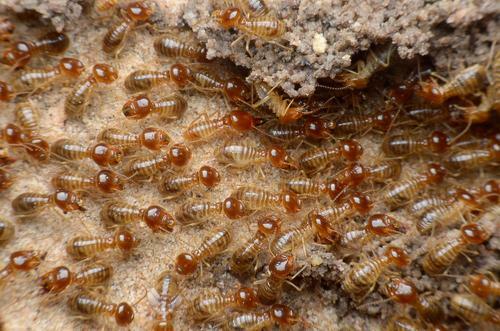 Temperature and humidity levels have to be just right for termites to swarm. For many species, this means spring or summer on a warm day after rain. You have a good chance of spotting these winged menaces because most species swarm in daylight. Additionally, alates — the type of termites with wings — are actually terrible at flying. Their swarms don’t last long, and they don’t travel far. Once you see a flying termite or signs of termites, contact a pest control expert to check out your home or building. Sure, it’s possible that you’re dealing with flying ants instead of termites. The easiest way to diagnose this issue is to look at the ant — even though these bugs look similar at first glance, there are some clear giveaways that will let you know what you’re dealing with. 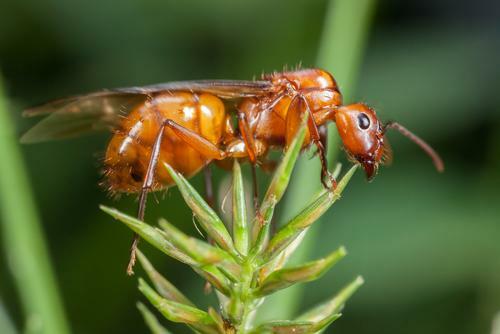 Ants also nest in homes and behave similar to termites, so it’s worth speaking with a pest control expert if you see one of them flying around your home. Last year, Florida — the land of bad news and Disney World — was the site of a rare hybridization between two termite species, thereby creating a super-termite capable of taking over the world. Well, not exactly, but two of the most economically destructive termite species in the world did mate in 2014. Translation: termites thrive in warm, humid temperatures. Climate change may have caused the two species’ mating seasons to overlap, creating a new type of termite. That threat? Property damage, sorrow, and global warming guilt. Have you ever dealt with termites? Tell us about it in the comments. "Climate change may have created a new type of termite." Air pollution is a major contributing factor in the deaths of around 600,000 children under five every year — and it threatens the lives and futures of millions more every day.